Mississippi State University Flute Choir — Flute quartet. In the 20th century this last movement from Bach's Orchestral Suite No. 2 has become one of the most famous show-pieces for solo flutists, due to its quick pace and difficulty. 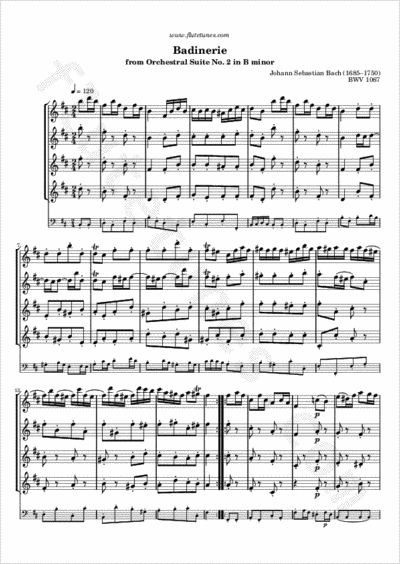 We already had a solo version of this piece, but due to popular demand we have decided to also prepare this arrangement for 4 flutes plus (optional) bass.